20th century icons and idols of Yousuf Karsh: American Portraits, on view through September 16, 2018. During a career that spanned six decades, photographer Yousuf Karsh created iconic portraits of many of the 20th century's most influential men and women. This exhibition features 48 of Karsh's black-and-white photographs from the National Portrait Gallery's collection. Featured portraits include writer Ernest Hemingway; artists Georgia O’Keeffe and Andy Warhol; actors Ingrid Bergman and Humphrey Bogart; athletes Muhammad Ali and Jackie Robinson; business leaders Elizabeth Arden and Warren Buffett; architects Frank Lloyd Wright and I. M. Pei; first ladies Jacqueline Kennedy Onassis and Eleanor Roosevelt; and entertainment giants Walt Disney and Jim Henson. 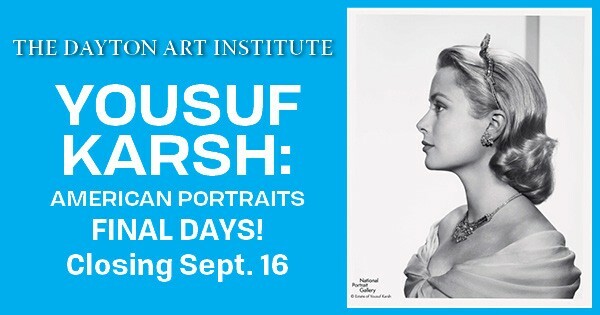 This exhibition is organized by the Smithsonian’s National Portrait Gallery, Washington, D.C.
Find more events like "Yousuf Karsh: American Portraits"